गुंटर ग्रास (१९२७ - ) १९९९तमे साहित्यस्य नोबल-पुरस्कार विजेता अलंकृतवान्. तस्य भाषा जर्मन अस्ति. O'Hagan, Andrew. 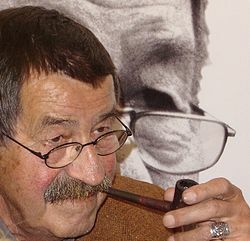 "Real Audio interview with Günter Grass and Norman Mailer", NYPL. 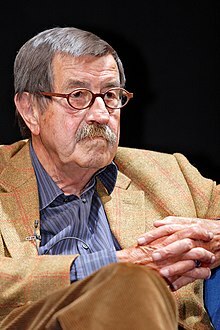 "World famous German writer Gunter Grass talks about his controversial masterpiece, The Tin Drum, on World Book Club", BBC World Service, BBC, 3 October 2009.